We have been working closely with Dayspring for years. Dayspring Christian Academy is a Principle Approach school, meaning that they are founded on several key defining principles. One of those is something they refer to as, “The Seed Principle”. This is the idea that what children are taught at a young age will grow to inform all aspects of their thinking and character. But it’s more than that – it’s also the belief that those seeds that are planted in students’ hearts, are the small beginnings of change that will grow to impact the world. Dayspring is constantly facing the misconception that the Seed Principle is only about the first half of this transformation, and not about the eventual impact those students will have on their communities and governments. In crafting the concept for this film we had to be careful not to perpetuate this misunderstanding. We knew right off the bat that we wanted to utilize the image of a seed growing to maturity as a flower. We came up with a concept that would give us the opportunity to do so while leverage the talents of some of Dayspring’s best student-artists. However, this visual representation alone still risked furthering the misconception that The Seed Principle is only about internal transformation. In order to make sure that didn’t happen, we worked closely with Dayspring to ensure script was right on target. We were able to leverage Dayspring’s vast knowledge of their founding principles, alongside LampHouse’s expertise on the medium of film, to ensure that the messaging in the film accurately articulated the full extent of The Seed Principle. The process of bringing this story to life was a real treat – there are few things more rewarding than witnessing young people utilizing their talents. 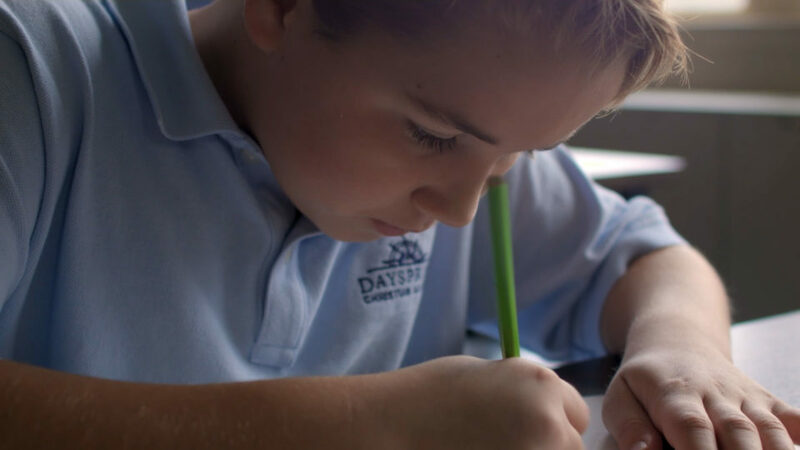 At the end of the day, LampHouse was able to help Dayspring overcome a common marketing misconception, and create a film that artfully communicates a key principle that sits at the core of what the school is all about.